The European Parliament must be realising that the EU Commission has sold it a lemon. Back in July, the parliament asked the commission to activate the rule of law ‘framework’ in relation to Hungary. The commission’s reply, sent to MEPs on 12 November, is bound to taste bitter. The commission created the framework following a request from the EU’s council for a mechanism to protect the Union’s ‘fundamental values’: the rule of law, democracy and human rights. That appeal came after several EU governments had grown frustrated with the Union’s inability to prevent Hungary’s Viktor Orban from undermining constitutional safeguards following his rise to power in 2010. The EU’s only available tool, Article 7 of the Treaty on European Union, had already proved unworkable because it cannot be used without the consent of national governments, which are reluctant to target each other with sanctions. 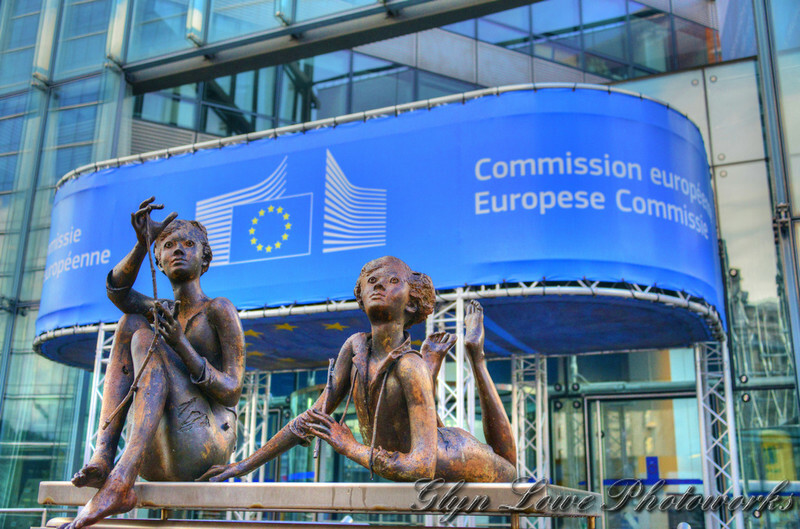 Introducing the framework in March 2014, former commission president Jose Manuel Barroso and justice commissioner Viviane Reding explained that the new procedure would be easier to activate than Article 7. If the commission sees a ‘systemic threat’ to the rule of law, this framework allows it to start talks with a government and to issue it with recommendations. At least two requests have been made to activate the framework since it was created. 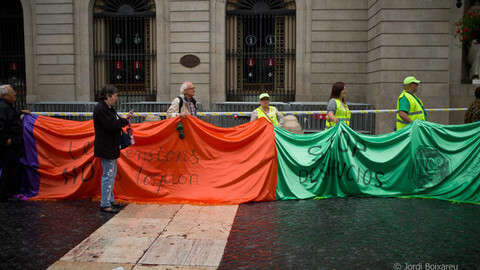 In 2012, foreclosures prompted widespread public protests against the government and banks. In response, the government passed further legislation making it almost impossible to demonstrate without being hit with enormous fines. To prevent protesters and consumers from fighting the fines and foreclosures in the courts, Rajoy also introduced court fees and slashed legal aid. The government then took a chunk out of the judiciary’s resources, slowing the justice system, and overhauled Spain’s judicial council, which allowed it to pack the courts with judges of its own choosing. The commission, nonetheless, does not consider this a ‘systemic threat’ to the rule of law and is waiting for the constitutional court, as guardian of the Spanish constitution, to decide on the lawfulness of the legislation. Only if this court fails to strike down the reforms might the commission accept that there is a problem. The commission’s understanding of the word ‘threat’ is nuanced, to say the least. Surely when a government passes legislation designed to stop the courts from protecting citizens against government interference with their liberties, a systemic threat to the rule of law is already present. Furthermore, under national law, Spain’s constitutional court is allowed to take as long as it likes to examine cases – several challenges to the court fees legislation have been pending since 2013. If the only national body capable of upholding citizens’ rights is under no pressure to take action within a reasonable time, the commission can hardly consider the rule of law safe. 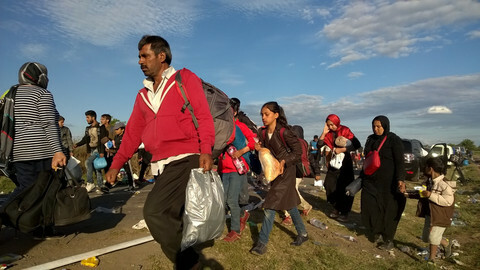 In July, the European Parliament asked the commission to intervene on Hungary after Orban launched a less than politically correct public consultation portraying migrants as job-stealing, society-wrecking terrorists and floated the notion of bringing back the death penalty. 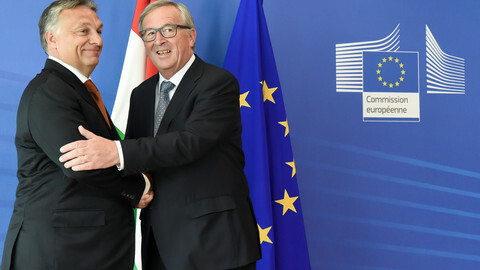 While the rule of law framework is designed to allow the commission to examine the situation as a whole in a given country, the commission’s reply to the parliament focussed on just these two issues, ignoring the cumulative effect of developments over the last five years: the coalition between Orban's Fidesz and the Christian-Democrat KDNP has packed the judicial council and constitutional court with party loyalists and severely curtailed the court’s powers to review new legislation. The media has fallen under government control; civil society organisations critical of the government have been stigmatised as foreign agents and harassed through spurious state investigations; and the latest elections were dubbed unfair by the OSCE. Yet the commission persists in maintaining that there is no ‘systemic threat’ to the rule of law. Why is Frans Timmermans, first vice-president of the commission and responsible for fundamental rights, so reluctant to activate the framework? Perhaps because of the rebuff delivered by the council’s legal service. After the commission adopted the framework, the UK, to the annoyance of other countries and in breach of the protocol that reserves this right to the presidency (held by Greece at the time), asked the council’s legal service to analyse whether the framework was lawful. In a legal opinion of questionable quality, the council’s legal service said that the commission’s framework was not, in fact, lawful. Many member states disagree with the opinion, which has no legal effect. Timmermans maintains that the framework is good to go. He has repeatedly shrugged off calls from the European Parliament for a new monitoring system, insisting instead that the EU should make better use of its existing tools – the framework, for example. If Timmermans is convinced of his own advice, he should lead by example and put the framework to use. Dr. Israel Butler is advocacy consultant to the European Liberties Platform, a network of European human rights watchdog non–governmental organisations (NGOs). 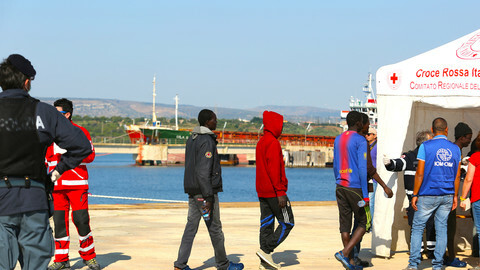 Certain EU leaders should show the same values of equality and respect for human rights on which the EU is predicated, when dealing with the migrant crisis.